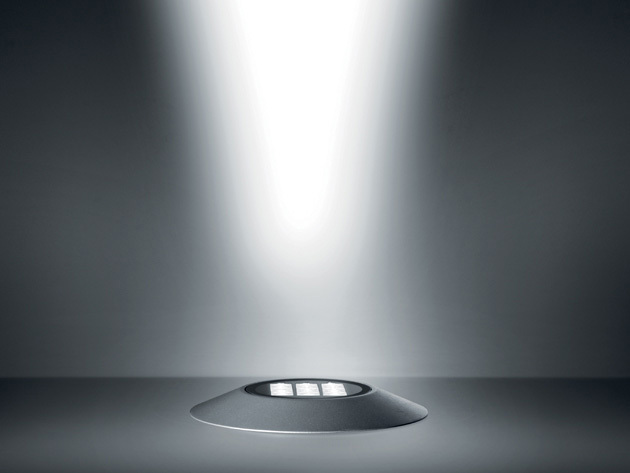 Over-all is an up-light of easy and immediate application: a special nylon fixing plate isolating it from the ground, is directly fixed to the surface without any recessed in-ground device. 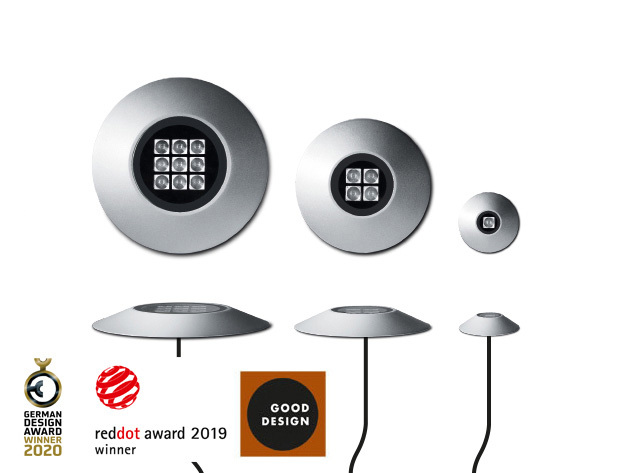 The research on the shape and on the balance of the proportions have favoured the development of extremely neat and essential lines: it gives birth to a thin lighting body with no visible screws and reduced thickness. Among the different applications, Over-all will illuminate trees, bushes and shrubbery; it also can be installed next to vertical surfaces to illuminate them with grazing light.